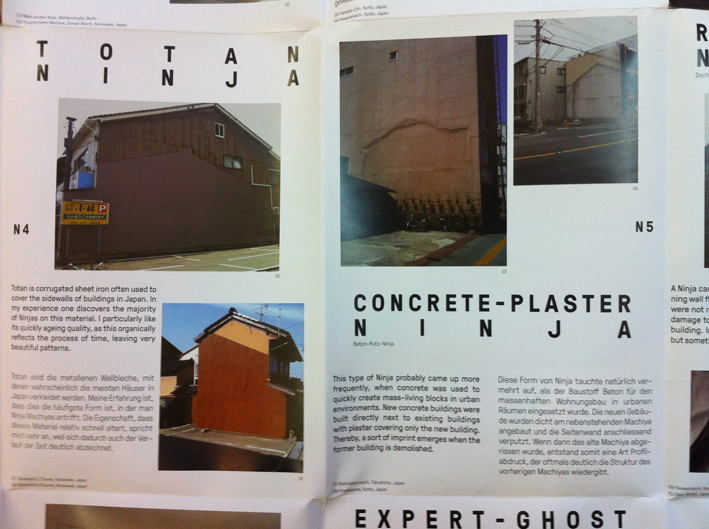 In summer 2014 I released my self-published concertina ‘Ninja Machiya’. 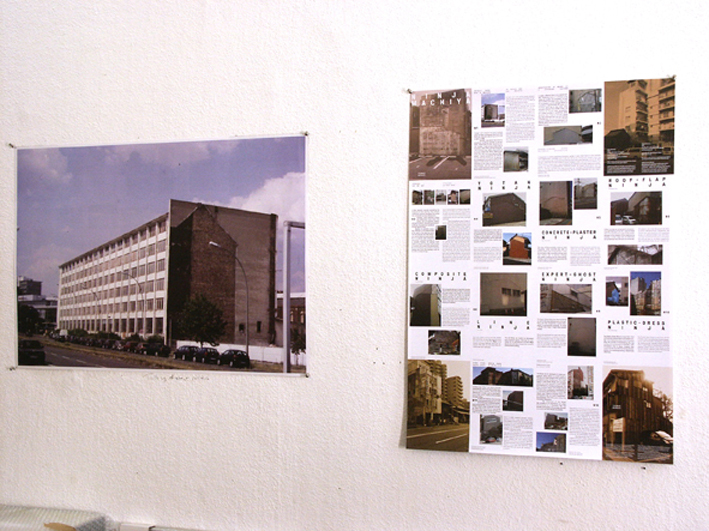 It is a documentary and research about traces, remnants of torn down buildings on their former neighbouring firewalls. Over the years I photographed as many as I came across in different cities in the world and filed them in my photographic archive. Inspired by the idea of my partner Maki Shimizu, I call them ‘Ninja Machiya’: The word Machiya is from Japanese and means literally townhouse. And the prefix ‘Ninja’ refers to the hidden or unseen. As there were differences as well as similarities amongst their appearance and character, I started to evolve a typology, reflecting on urban progression. 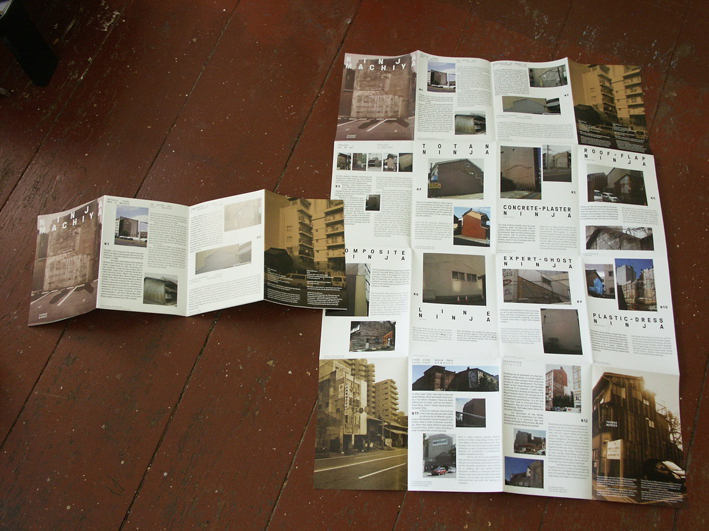 It was also published on the 99% Urban website, a site reflecting on contemporary urban, architectural, sociological and artistic issues. 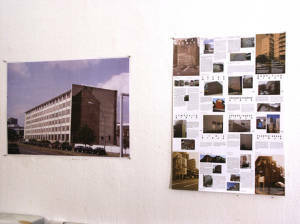 I would like to thank Anna-Lena Wenzel for her great support to publish it there. You can read the article here (German only). 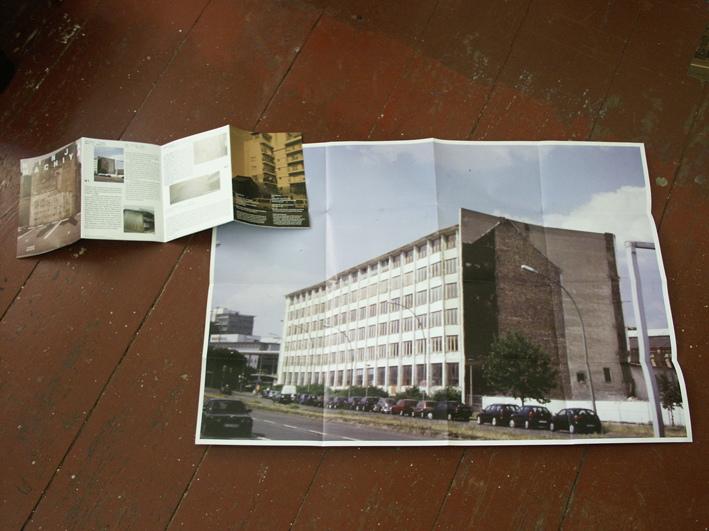 The posterbook (edition of 250) has a total size of A1 when unfolded. The pages are A5-size when folded. 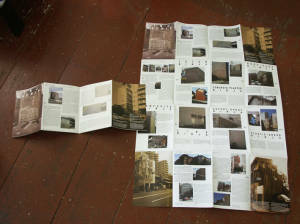 It is bilingual (German and English), has 16 pages on one side and on the other a full page image depicting a Ninja Machiya in Berlin in the year 2000. The graphic-design was made by the fabulous Raby-Florence Fofana. If you want a hardcopy, just email me. It costs €10,- plus shipping €2,- within Germany. For shipping in- and outside EU, please inquire me first.